Tech In Teaching: Is YouTube Changing How Students Learn? Welcome back to Tech in Teaching, a recurring series inspired by the HP ENVY 6 Sleekbook. Over the past few months I've been interviewing public school teachers about how technological developments have affected the education process over the years. Last week I interviewed (via email) Adrian Spatzer, a 29-year old Brooklynite who teaches at M.S. 45/S.T.A.R.S. Prep Academy in Harlem. Adrian pretty much does it all at her school, from compiling readings lists for her ESL students, to showing kids the basics of animal dissection, to advising the student-run newspaper. Below, Adrian talks about the tech that she uses on a daily basis and how it's affecting her students. First off, tell our readers about yourself. What subjects and grades do you teach? How long have you been teaching, and why did you get into the field in the first place? I teach 7th- and 8th-grade English as a Second Language/English Language Arts, 8th-grade Science in English and Spanish, and Newspaper/Journalism. I have been teaching in NYC for 5 years and I taught abroad in India and South Korea before that. I got into the field after working with a Boston-based law firm that represents kids. Have classrooms noticeably changed since you were in school? What sort of gear do your kids have access to that you didn't? Classrooms are so different now. When I was in school, we had a few computers, which only worked on dial-up Internet. AOL was still the big thing. Now, kids have access to iPods and iPads, they can email questions or upload a document to Google Docs. They know how to work a SMART Board, they use podcasting kits (so that they can listen to their own voice in English), and use IRISPens which translate text into the language of their choosing. You teach a wide variety of courses. Is there a subject that benefits especially from new technology? For example, is teaching ESL easier now than it might have been in years past? I would say that all 4 of the courses I teach benefit [from emerging technology]. In Science, the ELMO (a picture-perfect document camera) is an awesome tool — especially when doing things like showing students how to dissect a sheep brain. In ESL/ELA, the IRISPens come in incredibly handy because I can make sure that my 6 different levels of students all have the scaffolding that helps them to achieve success in my classroom. Tell our readers about your student newspaper. With tools like YouTube and Twitter fundamentally changing the industry, why is it still important to teach traditional journalism? Traditional journalism is light-years away from being obsolete. I like to teach it because the skills [my students] are learning are tremendously important for the professions that might interest them down the line. At my school, the student-run newspaper comes out 2 or 3 times a year. The students learn how to design, write the articles, interview people (with a Flip cam), cite websites and books, and how to take photographs that will look good in the newspaper. My students do use Twitter and YouTube as sources, but I have them triple check the information just to make sure it is right. Do you think that students are more comfortable with the written word than previous generations because of the amount of time they spend online? They are certainly more comfortable with the written word because text is everywhere in their lives. However, academic writing is so different than informal writing, so there is a quality gap when it comes to writing a Facebook update to writing a five-paragraph essay. Is technology ever used as a crutch in the classroom? Are there any skills that previous generations might have had, that today's students are lacking? I think that technology is sometimes a crutch. Students were better spellers in previous generations because they didn't have spell check. Also, basic math skills were better with previous generations because everything was done by hand — now students rely on calculators. 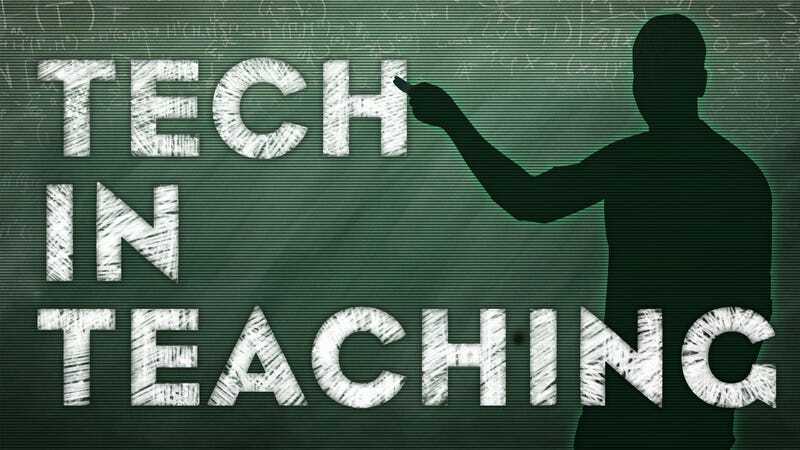 Keep your eyes peeled for upcoming editions of Tech in Teaching. And head here for more information on the ultimate advancement in classroom technology, the HP ENVY 6 Sleekbook — the only large screen laptop with Beats TM Audio.